Do you have thousands of Hot Wheels lying around your house? Are you like the tens of thousands of collectors who have their collections stored in ratty, musty old cardboard boxes? Don’t know where to turn? 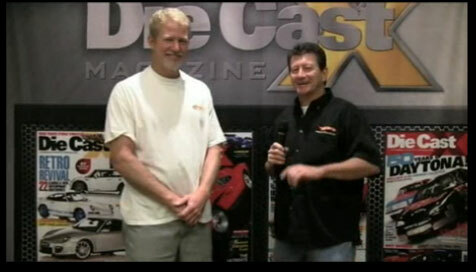 Meet the man behind “Hot Cases”, Scott Meyer. Scott’s devised what we think is the ultimate 1:64 accessory for storage, carrying, and protecting all those little monsters. Thank you for viewing my interview with Mike. Hot Cases storage containers were designed for Hot Wheels blisters exclusively. We since added the die-cut foam insert to store loose cars in a safe environment. We started business in 2002 to help collectors store and organize their collection. Last year we launched a new project called scOOmer.com. (A merging of my name) It is an eCommerce sales platform for all collectors to Buy and Sell. Different from conventional platforms, we have one low monthly fee for our services. The theory is you have a webstore amongst common interested people. Currently we are offering a “Free Trial” until Sept of 2012. No gimmicks, just a chance to try! Stop by and read more about all the functions and benefits. Scott has a great product and is a great friend. Be sure to give Scoomer a try!